Solar Bins Australia has a vision of a World without Waste. We aim to be a leader in sustainable, Smart Waste solutions for all Australians. Our focus as a business is based on delivering cost effective waste management solutions for facilities management companies, councils, governments and mining companies. 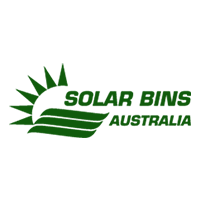 Since the introduction of Bigbelly Solar Compactors to the Australian market, Solar Bins Australia has been at the forefront of delivering these solutions to the Australian marketplace. As the exclusive partner for Bigbelly Solar, our team works closely with the both the US and local teams to ensure our Australian customers benefit from the latest waste management technologies and sustainable practices available.